Not sure what you’re seeing? Everything looked great after renovations were done but the shower tub would leak. 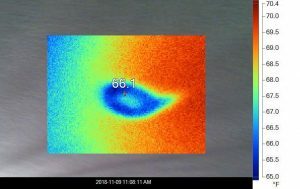 Damage was invisible to the naked eye but with Thermal Imaging it was caught very quickly.